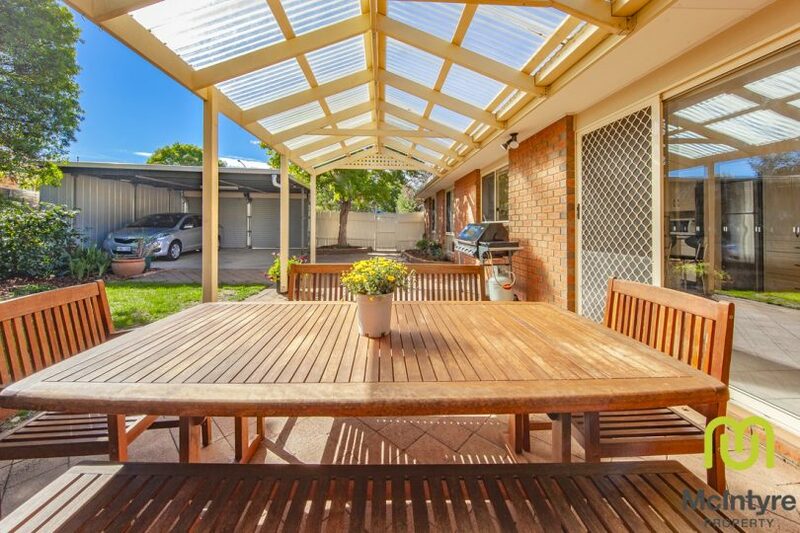 A private setting in a mature suburb is just one feature of this stunning family home. Photos: Supplied by McIntyre Property. It’s not every day a property as rare as this one pops up on the market. 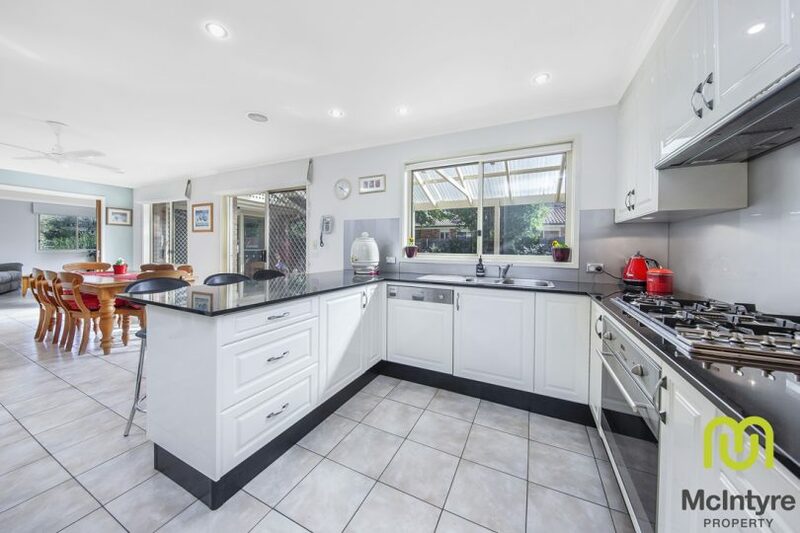 Conder’s 24 Montefiore Crescent is such a property. The north-facing, five-bedroom, three-bathroom home is tucked away on a lovely, quiet loop street. The ultra-modern, open-concept family and kitchen area is the heart of the home. The segregated living areas are an important component of the overall design of this warm family home. The large, light-filled formal lounge at the front of the home is a special haven, perfect for quiet time away from the hustle and bustle of family life. The hub of the home is the ultra-modern, open-concept family and kitchen area, featuring a double window above the kitchen sink and two sets of sliding doors leading on to a covered, gabled entertaining area. This home features segregated living areas. 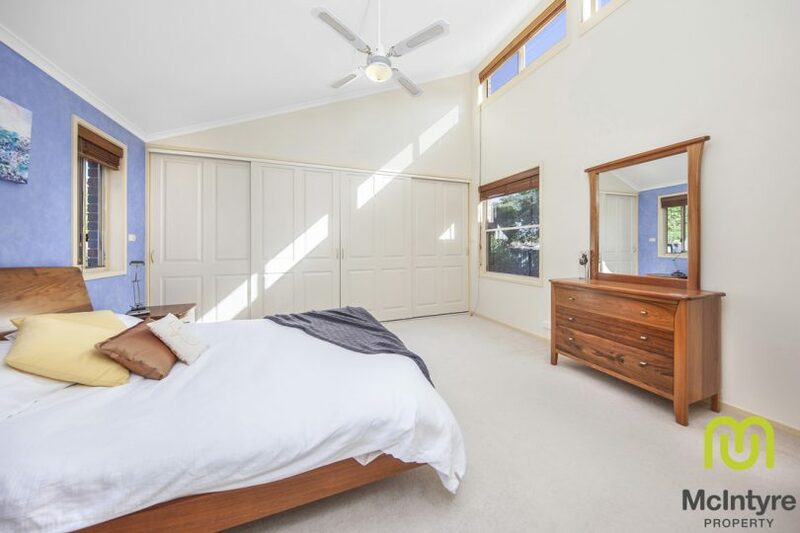 The carpeted main bedroom offers peace and quiet and features a wall of robes, windows on either side of the room (one a motorised clerestory window) and a quiet ceiling fan. The décor of the ensuite is inviting—crisp white with blue accents. The large walk-in shower is glassed in. A large mirror hangs above the double sinks at the vanity, complete with ample cupboard space. The generous-sized bedrooms all feature amazing storage, with built-in robes. The master bedroom has a wall of wardrobes. The windows throughout the house are a mix of single and double glazed. The home has ducted gas heating, two split-system reverse cycle heating and air conditioning units, and 20 solar panels on the roof. 24 Montefiore Crescent has fabulous street appeal. 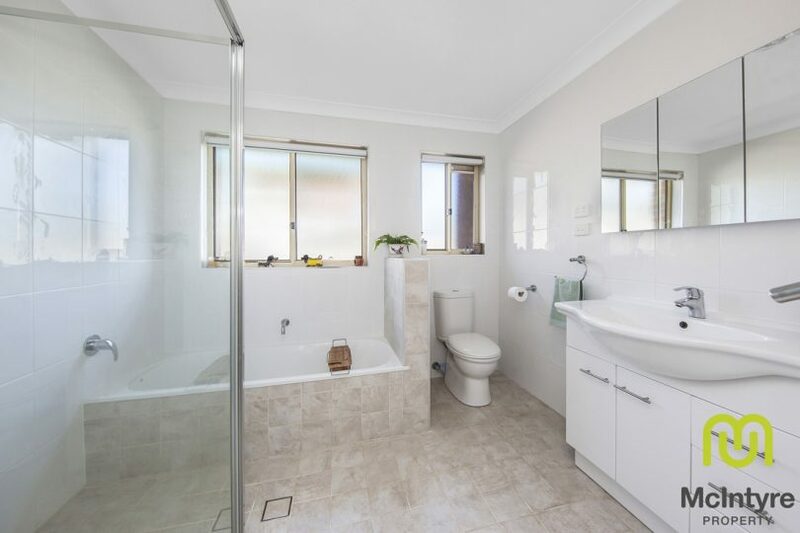 The large, level block—approximately 758 m2—is complete with mature, established gardens with automatic watering system, manicured lawns, a fish pond and garden shed. The kids will love playing in the large lawn areas. 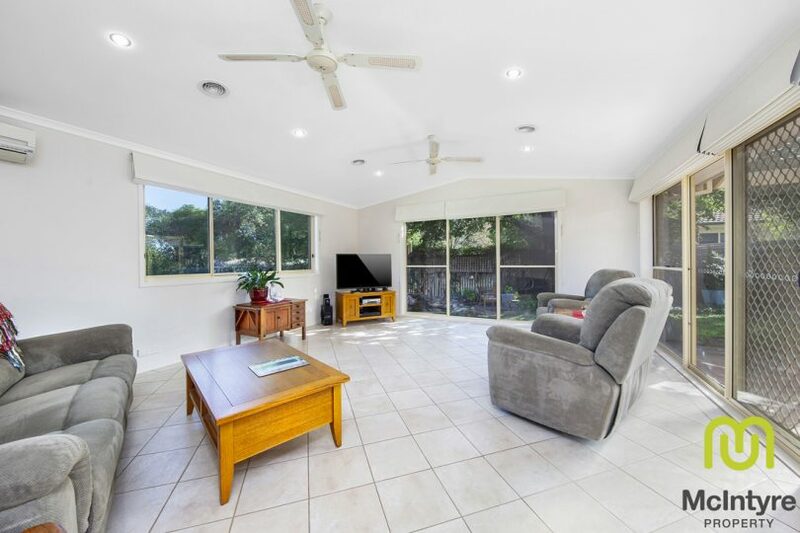 The home has a large, double carport with light and automatic roller doors. This home is surrounded by mature gardens. While located on a quiet, private street, 24 Montefiore Crescent is just a short stroll to a children’s play park. Every amenity you can imagine is located close to the home, including at the Lanyon Marketplace, with its pharmacy, post office, cafes, major supermarket, butcher, florist and more. Public transportation is plentiful and nearby schools include Charles Condor Primary, Lanyon High School, and Mackillop College. The bathrooms are light, modern and convenient. 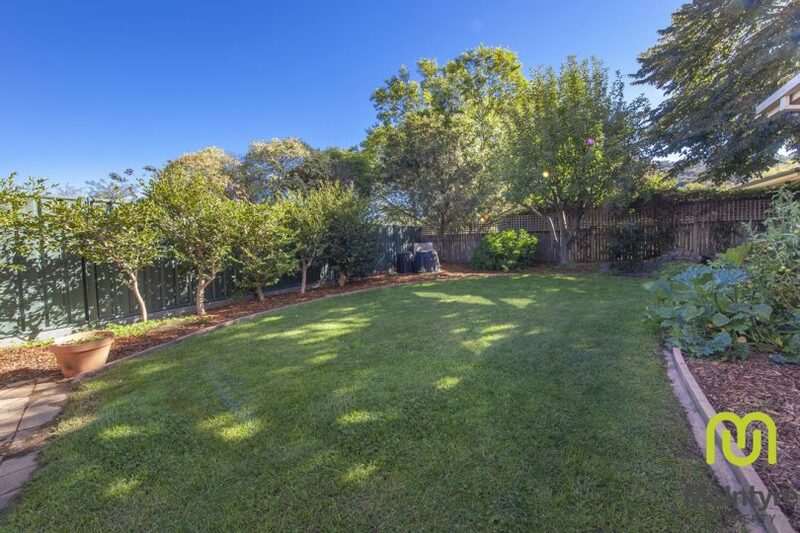 24 Montefiore Crescent is an entertainer’s delight. 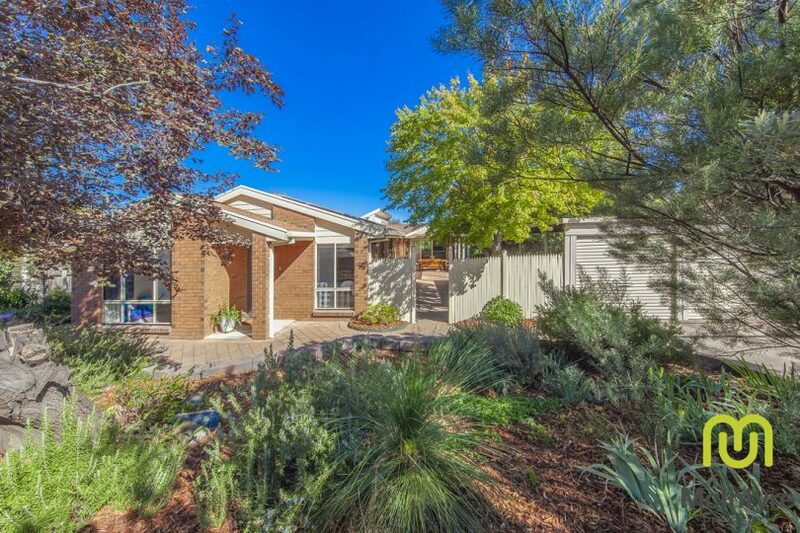 24 Montefiore Crescent, Conder is listed for sale at offers over $720,000.